Chadham Yatra in Uttarakhand is the most celebrated expedition towards the arduous valleys of the Himalayas. The Yatra is considered as very difficult and tough in India as it is composed of visiting the sacred shrines through the tough trekking routes. 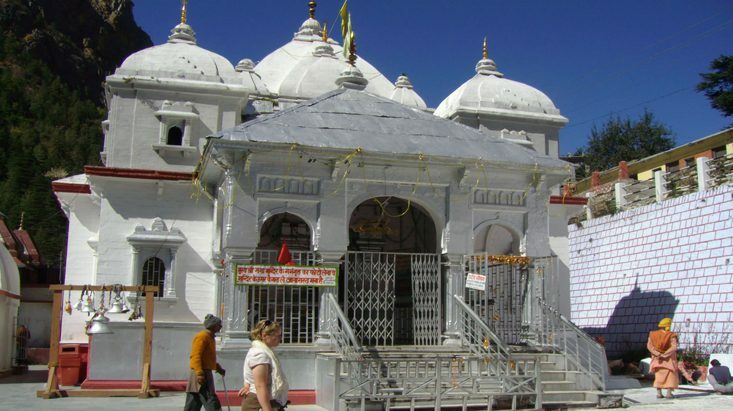 The Char Dham Yatra that covers the famous Badrinath, Kedarnath, Gangotri and Yamunotri shrines in the different locations of Uttarakhand in Himalayan Mountains; brings the ultimate way of spiritual regeneration and redemption as per the Hindu mythology. This is the most demanding expedition which in spite of its rugged routes fascinates the devotees to cover the distances and get privileged to visit the sacred shrines at least once in their lifetime. Covering the tough routes is quite inspiring and challenging too but before starting the journey it is really very necessary to prepare yourself well in advance, otherwise the whole journey may become very tiresome. It might be possible that your avoidance also cause you serious sickness after the long continuous Yatra towards the Himalayas. Definitely you need to prepare yourself 2-3 months prior to commencing the Yatra. 1. Check for the Best Timing: the first thing to keep in mind is when to perform this auspicious Yatra. The best season hould be preferable to make a visit so that you can visit the shrines when the doors are open. The Yatra normally begins in April-May and ends in October-November every year but the peak season is in the month of September, as during June to August, the region witness heavy rains and may lead to loads of difficulties. Similarly, the May month is full of crowd and will also lead to many discomforts and problems especially to the ill people. September is the best season for all since after rains the areas are flourished with beautiful views and scenic beauties. The whole valley looks fresh, new and refined for great landscapes and scenic views. 2. Hire a Guided Tour Operator: the second aspect is to select whether you should go for a self-managed tour or should seek a renowned or reliable tour operator for yourself. Definitely, a trustworthy and experienced tour operator will help you in many ways. They will manage the best services for you like your arriving and departure, the best accommodation and the other conveniences you need at the entire Yatra. 3. Check the reviews and the feedback from your friends or relatives for complete genuine information about the guided tour operators. Check whether they cover all the aspects of the best services including transportation, meals, hotel accommodations, handling and caring of luggage and other relevant facilities. This will help you to remain free from all the hassles and tensions of the tour. 4. Please ensure if you are physically unfit for this strenuous journey. Get yourself thoroughly checked by any physician 3 months prior to the journey. Make sure you do not suffer from high blood pressure, diabetes, cardiac disease or any such problems. If you have so, it is better to get proper medication and treatment before heading on to the Chardham Yatra. 5. It is always advisable to carry the prescribed medicines along with some general ailments needed for common pains; stomach upsets, along with some suitable creams for applying on your legs to treat any minor sprain. 6. Carry comfortably warm and heavy woolen clothes along with you as the season is always cold there and at high altitude it is impossible to survive in lighter clothes. It is also advisable to carry a unfailing cell-operated torch with some extra cells to get help on the way especially at nights. 7. Always avoid carrying heavy luggage along with you and make sure you carry only the most necessitated items with you. So, make prior arrangements for leaving your luggage safely at Haridwar only. 8. It will be a smart decision to carry some packets of the dry fruits like raisins, almonds and cashews that will help your body to regain energy during the arduous walks in the journey. 9. If you are not used to long distance make an earlier practice for that so that you may not feel fatigue during the trekking. 10. Always plan your trip in a group either with your family or friends since the routes are challenging and you may face some kind of difficulties. So, a great assistance is always needed for the same. Besides, all these mentioned tips; the most essential thing to keep in mind is to have a strong will and determination in your mind so that you would be able to complete this Yatra without any hassles and problems and will reach easily at the high peaks of the sacred Himalayas.